Russia is open to negotiating better relations with NATO, but it’s only possible if the Western military bloc starts keeping its promises and considering the national interests of other countries, the head of the Russian Security Council told the press. “What sort of trust can we talk about? 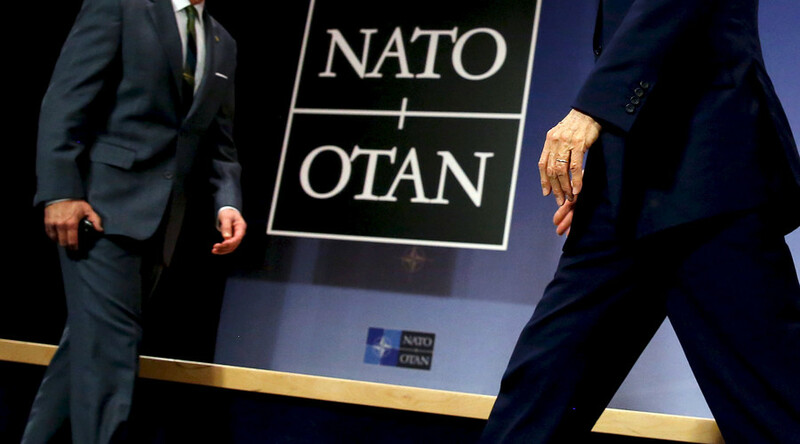 You can see it yourself that NATO is making promises, but it never keeps any of the promises made to our country, it does not take our interests into consideration,” Nikolay Patrushev said in an interview with the Associated Press. However, he noted that ramping up cooperation between Russia and NATO was undesirable because it would create even greater potential for mutual distrust and tensions. Patrushev said that when the Cold War ended and NATO began accepting nations of the former Warsaw Pact, it promised not to put military bases and offensive weapons in those countries. In reality the Western bloc has already repeatedly violated its promises fixed in the 1997 Russia-NATO pact on mutual relations, cooperation and security. Still, he assured journalists that Moscow is not planning to enter the “senseless confrontation” even though such step was being insistently imposed on the part of the West. He also noted that Russia’s successful counter-terrorist operation in Syria had already caused increased interest in possible joint projects among several NATO members. He emphasized the importance of the fact that the Russian Air Force group in Syria was acting on the license from the Syrian authorities and fully observed the international law. Patrushev observed that Western countries participating in the settlement of the Syrian crisis must also stop insisting on various preliminary conditions and intensify their efforts in creating a joint anti-terrorist front in that country. As for the demands for President Bashar Assad’s immediate resignation, the Russian security chief called them political shortsightedness and open interference with internal affairs of an independent state. In January, Patrushev told Russian daily Komsomolskaya Pravda that the continuing military buildup in NATO countries caused concern in Moscow as well as the attempts to delegate certain global functions to the western military bloc in open violation of the international law. NATO’s further expansion and movement of military infrastructure closes to the border with Russia pose a threat to national security, Patrushev added. In May 2015, Patrushev told the top security officials of the Russia-led military bloc CSTO that NATO’s increasing activity was threatening not only Russia but also its allies. He added that in modern times countries use “non-direct action” to promote their interests in the international arena, such as the population’s protest potential, radical and extremist groups and also private military contractors.